I was taken by surprise when this particular card came across my desk. Any red bordered T-card sized card will catch my eye, but this image is an instant eye catcher. For those who are not familiar with this card or series of cards, the T210 red bordered Old Mill cards is a large set of black and white minor leaguers from 1910. For decades the attributes “black & white” and “Minor league” turned many collectors off. The obscurity of 99% of the players doesn’t help the sets popularity, either. While there are a handful of future big leaguers here, two cards stand out as being far and away the most important and most valuable cards. 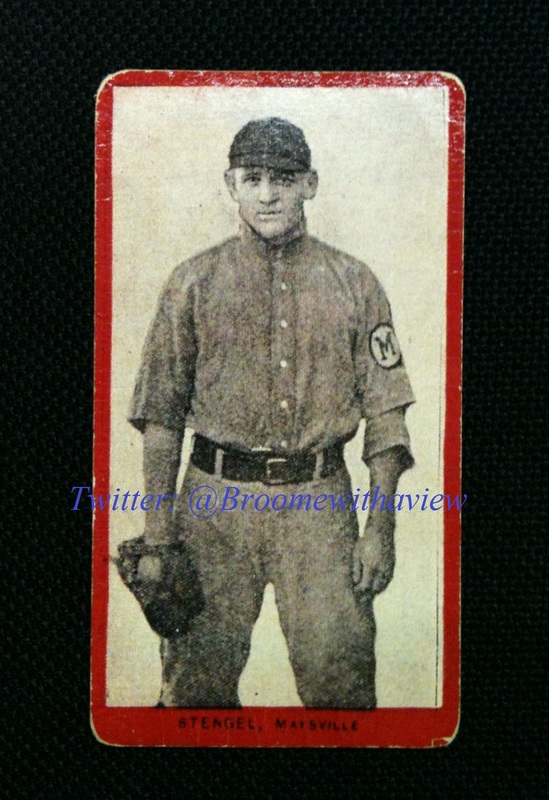 The top card features a young man in a long New Orleans Pelicans coat by the name of Shoeless Joe Jackson. This card is found in the 8th and final series of T210 cards that feature all Southern Leaguers. The runner up card in terms of value and popularity is the first appearance of “The Old professor,” Hall of Famer manager Casey Stengel. Casey is featured in the 6th series on a card as a Maysville, KY Rivermen of the Blue Grass League. T210 cards are different from the more familiar T206 cards in two ways. First, the player image is not a color lithograph image, but a black & white photoengraved image which appears to be made of many tiny black dots when seen under a loupe. The second difference is the surface. T210 cards have a gloss coating that many times will look like crackled glass. This particular counterfeit card is much more convincing than previous attempts I have seen. For one, the red border is made of solid ink as it should be. It is not of the correct shade of red but it is close enough to fool a collector that may have some basic knowledge of T210s, an example of a little knowledge being dangerous. The tale-tell clues in detecting this clever fake are the stock and the printing. The front looks somewhat convincing and the back looks great but the surface and stock thickness are wrong. Under a loupe, the wear of the stock is not correct. Neither is the image of Stengel that is supposed to be a photoengraving. The dots of the ink are incorrect making the image appear to be blurry. An authentic card will have an image that is made up of well defined dots. As with most counterfeit cards, familiarity with a particular card issue is your best defense. If you have handled T210 cards before, then this one will not get past you in person. If this is an online auction, you are at greater risk. When you are ready to make the purchase of an expensive key card, know your seller. In pre-war cards, the world really is a small one. 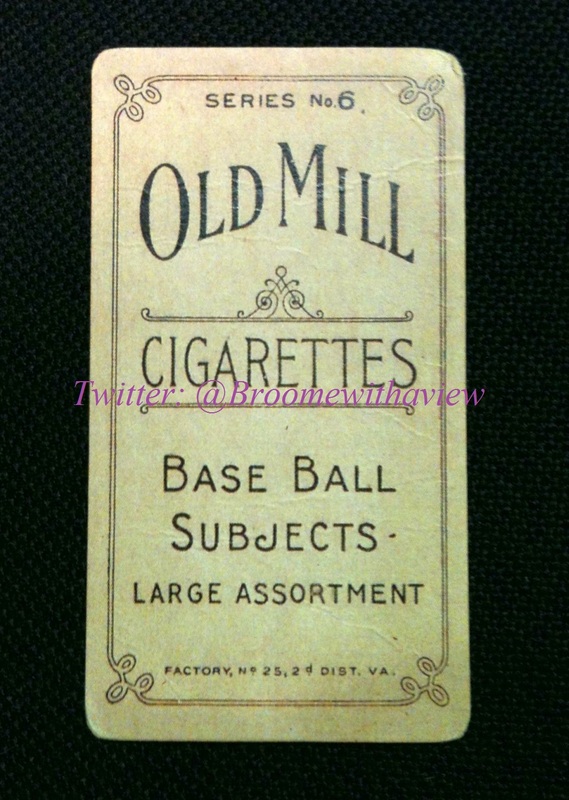 A great place for pre-war card and dealer information is Net54baseball.com.